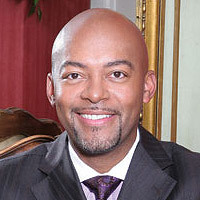 Washington, D.C. native Michael E. Jones, M.D., started his plastic surgery practice in a townhouse in Harlem in 2000. Today, Dr. Jones is an innovator of facial surgery procedures, notably a scar-free rhinoplasty technique for people of color, and he is the founder and director of Lexington Plastic Surgeons, with offices in New York City; Beverly Hills, Calif.; Hackensack, N.J.; and Washington, D.C. Stories of how his grandfather succumbed to pneumonia after being denied medical care at a local hospital because of his race helped shape Jones?s career decision. ?I wanted to provide quality care to those [who might not otherwise have access to it because] of their skin color or their financial status,? he says. He chose plastic surgery because it provided an opportunity to help people look and feel better about themselves. Jones received a bachelor?s degree from Columbia College and a medical degree from Columbia College of Physicians and Surgeons. His many academic honors include acceptance into the prestigious Alpha Omega Alpha Honor Medical Society. He completed his surgical internship in head and neck surgery as well as a fellowship in facial plastic and reconstructive surgery at Mt. Sinai Medical Center, and he is certified by the American Board of Facial Plastic and Reconstructive Surgery and the American Board of Otolary-ngology. Jones has appeared on national and local media, including BET Nightly News and The Ed Gordon Show. Jones and his wife, Cathleen Trigg-Jones, started The Trigg House to help foster children transition into emancipation through counseling and educational services. He insists, ?If one segment of our population is doing well, there is an obligation for those individuals to reach back and help others; otherwise, we will create a disparaging divide between the ?haves? and the ?have-nots? that will force us to become farther apart as a people. ?